Choosing the correct golf ball compression rating can improve your overall golf game. Golf ball technology has improved consistent with the increased capability of golf clubs and shafts over the past decade. One of the important factors to consider when choosing a golf ball is picking the right compression rating of the ball to match the swing speed of the player. 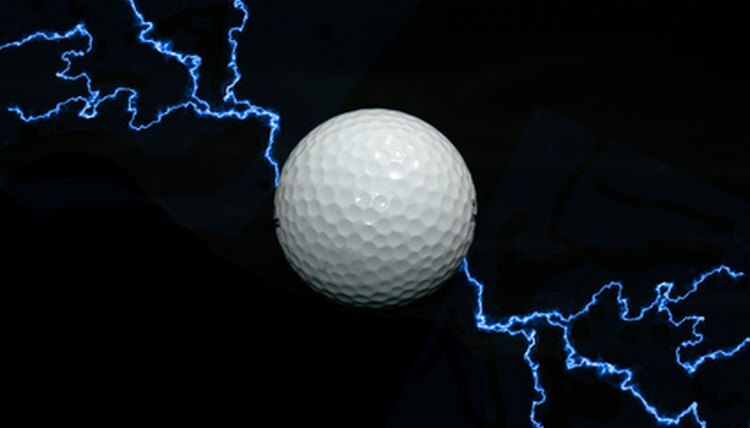 Generally, the slower the swing speed of the golfer, the lower the compression number of the golf ball. Golf ball compression ratings range between 70 and 110, and if matched properly to your swing, can help get the most distance out of your golf shots as possible. Choose a golf ball with a 80 compression rating if you do not normally drive the ball a long distance, are a junior player, senior or woman of average strength. The 80 compression ball allows slower swingers to more easily compress the ball with the club face on the downswing and obtain a greater distance. Pick a golf ball with a 90 compression rating if you are an average male or long-hitting female golfer. The 90 compression ball requires a faster club head speed at impact to maximize golf ball compression and spring effect at impact. If you are not sure if you should be hitting a 90 compression ball versus one of an 80 rating, testing several shots of each type on the practice range will help you see which ball travels farther for your swing. Choose a golf ball with a 100 compression rating if you normally drive the ball more than 275 yards off the tee and have a fast club head speed. You will be able to maximize the distance for all of your shots, but will see reduced range off the tee if the club head speed is not fast enough to achieve the full spring effect. Test several ratings of ball compression on the practice range and annotate the average distance that you hit each rating of ball with the same golf club. Some players choose to play a softer compression rating because they have a better feel for hitting approach shots, so you will want to temper the distance measure against how each ball feels when hitting your wedges and short irons. How Far Should Each Golf Club Hit? What Is a Wedge in Golf?